If you've got the space in your home, a man-cave can be the go-to haven for when you just want to kick back and enjoy some of life's simple pleasures. 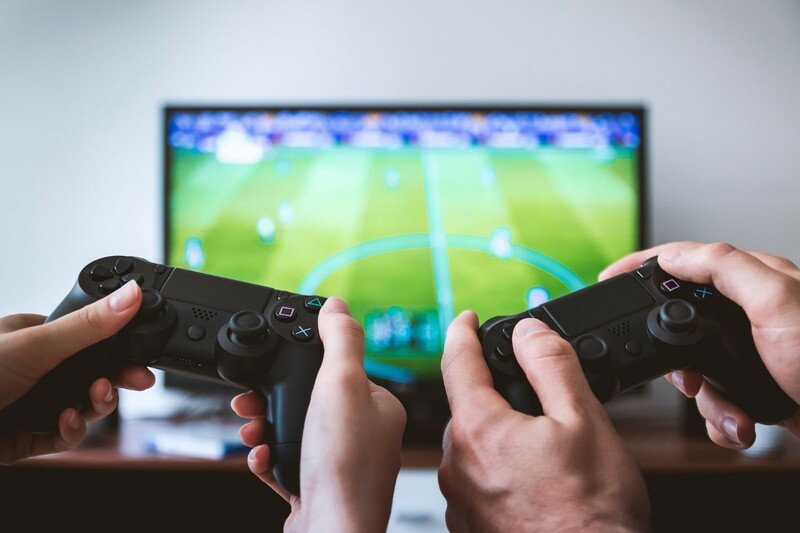 Whether this is playing video games, watching the football, or even enjoying a quiet glass of whisky, having your own space can help you destress after a long, hard day. But, designing your man-cave comes with its own challenges — it's not simply a case of cramming all of your gadgets into one room. There's a fine art to creating an enjoyable space for yourself and getting it wrong can ruin the vibe altogether. 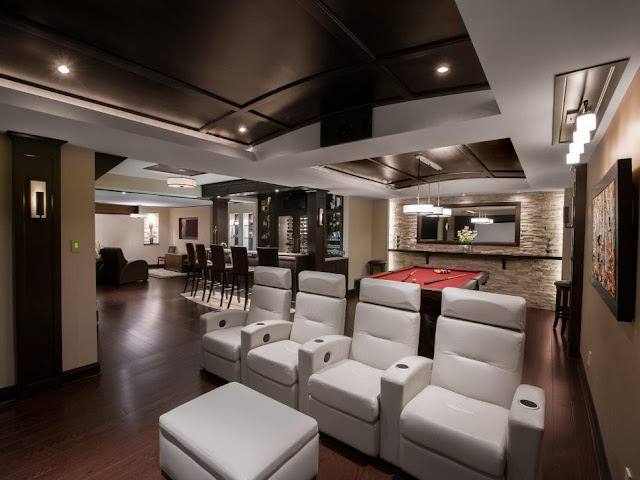 To help you out, we've put together a few tips for creating a luxurious man-cave, so be sure to read on. So, you've decided to create a man-cave — but where should you begin? Start by planning how you intend to lay out the room. This stage is key, as you don't want to create an imbalance where one feature dominates to the detriment of others. For instance, if you plan on having a pool table, you need to make sure that it won't encroach on a bar or tv area, while also ensuring that there is enough space to play a game. After all, you don't want to be banging up against the wall with your cue when you're trying to take a difficult shot. To prevent this, get your tape measure and find out if you've got enough floorspace to fit it all in. If you can't, it's better to prioritise some things over others to avoid creating a cave that's too cluttered. If you plan on upgrading the tech in your man-cave, it's worth bearing in mind that one item deserves your attention more than any other: your TV. Why, you ask? Well, when you consider that without your television it would be virtually impossible to enjoy films, video games, and the big match, it's easy to see why having a quality TV is pretty important. Is your TV one of those (already) old HD things? Then you should consider taking the next step in pursuit of audio-visual perfection by upgrading to 4K. If you're lucky enough to have a great internet connection, you can stream a lot of your content, including movies and video games, at this fantastic new resolution. To get started, take a look at this guide to 4K TVs by Tech Radar, which has all the info you'll need before going shopping. We've already mentioned how your man-cave is the perfect place to relax, and to do that you're going to need somewhere to rest your weary legs. No man-cave is complete without a quality sofa to serve as its hub, so it's worth putting a lot of thought into what type you'd like. Remember, as well as feeling extra comfy, you need to make sure any sofa looks good and fits in with your décor. A solid pick for any man-cave is a Chesterfield sofa. There's a good reason that these were the style of choice for gentlemen's clubs (no, not that kind) in the early 20th century: their timeless design oozes class and really captures that quintessential British look. And, rather than buying a mass-produced imitation, we recommend that you invest in a quality, handmade piece that will last you for years while maintaining supreme comfort. The Chesterfield sofas from Sofas by Saxon are a great example of this, as they use premium timbers and upholstery to create furniture that looks the part in any setting — plus, they can be completely bespoke to match the dimensions of your man-cave. When it comes to how you decorate your man-cave, colour is one of the key factors you need to consider. While you might have a certain shade in mind — perhaps your favourite colour — it's worth taking what effects they will have on your mood into account before you make a decision. For example, Freshome's guide to room colour and mood says that choosing blue or green is more likely to create a calming atmosphere that is ideal for relaxing, while red and orange are dynamic colours full of energy — perfect for a cave that will regularly be hosting your mates. At the end of the day, you can pick any colour you think will look great, but it's handy to know how it might make you feel when the decorating is finished. Follow our tips and you'll be able to create a luxury space that you will love spending time in. All that's left is to get going and build the man-cave of your dreams.